A.W.A.K.E. asymmetric dress with polka-dot panel. 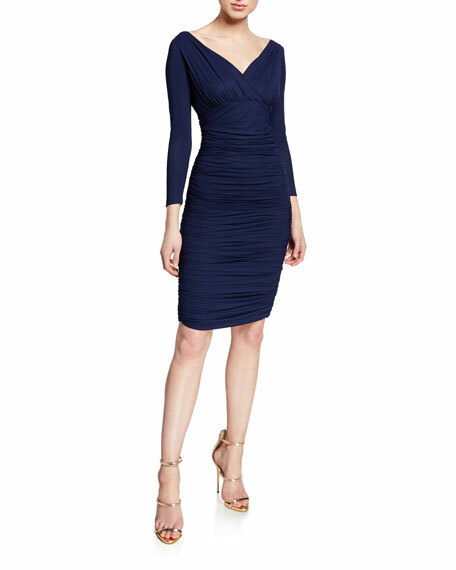 Chiara Boni La Petite Robe ruched cocktail dress. Approx. 39"L down center back. 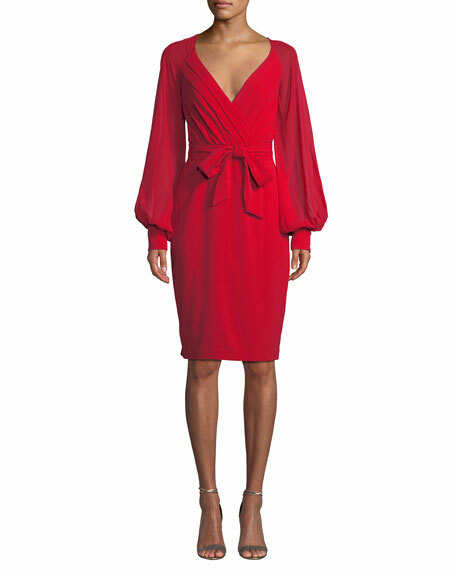 Open V neckline and back. Three-quarter sleeves. Body-con silhouette. Knee-length hem. Raw-edge hem for ease of tailoring. Step-in style. Nylon/spandex. Made in Italy. Exclusively ours. 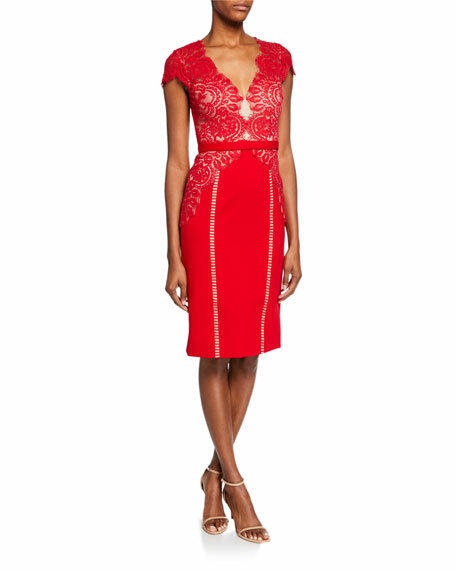 Cushnie cocktail dress in glossy-jersey. 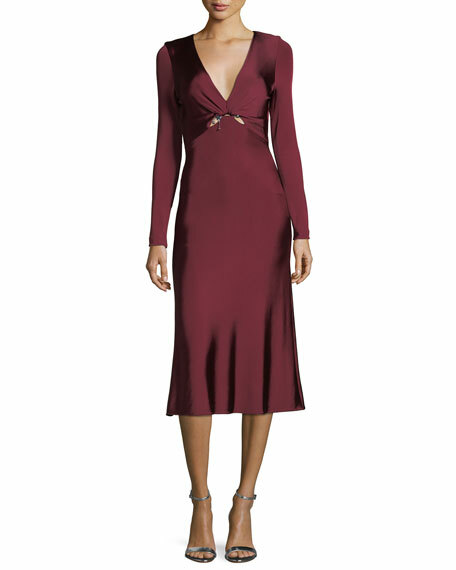 Deep V neckline; twist front with hardware. Long sleeves. Fitted silhouette. Hidden back zip. Flared hem. Midi length. Viscose/spandex. Lining, nylon/spandex. Made in USA of Italian materials.